Donald Mackay (1776-1851) came from Inverness in 1801 with a recommendation from James Grant, provost of Inverness, for whom he had previously worked. This gained him employment, first as an overseer with a Mr Gordon. He left this for a position as clerk with the merchants William Mackenzie & Co, principally because of the higher salary of £300 rather than £100. He then bought two slaves, for £200 on 12 months credit, from Simon Fraser of Belladrum, and hired them out for £50 to Patrick Grant ‘having experience of his humane treatment and knowledge of Negroes beyond what one can hardly belief for so young a Planter’. Grant had managed Mr Gordon’s property for 12 months but was now bound for Essequebo with 'his ten Negroes and mine' to enter into a partnership in a wood cutting business. By September 1802 Mackay's employer had provided him with credit for the purchase of '10 Negroes at a very moderate price' which he added to those he already hired out. Mackenzie & Co wound up their business in 1806 but by this time Mackay's income of £400 from hiring out his slaves was greater than his salary – and, as his board and lodgings were provided, he had probably paid off the cost of buying them. Mackay was involved in a protracted process relating to the estate in Demerara of a James Fraser, carpenter, from Inverness, which led to criticism of him by a number of people in Inverness. In May 1811 he purchased a sugar estate, Reliance in Essequibo, with George Mackenzie, a partner in the task gang with Mackay for some years. The estate had 114 slaves and was bought, on credit, for £25,000. They were to pay for this by shipping 250,000 lbs of sugar each year to Robert & William Pulseford of London, until the capital and interest were paid off. Mackay estimated that they would, in fact, produce 500,000 lbs annually. Mackay returned to England in 1815 and married Cordelia Harriss (1793-1854) the following year. From 1828 his planation was managed by his nephew, Donald Mackintosh, who remained in Guiana until his death in 1856. In 1833, when it was clear that slaves would be freed, Mackay embarked for Demerara 'driven to this necessity by the unprecedented spoliation of West India property by the British Government; an act of so villanous a character as could only be expected from the most lawless and despotic Government that ever cursed any Age or Country'. He subsequently claimed compensation of over £24,000 for 467 slaves. 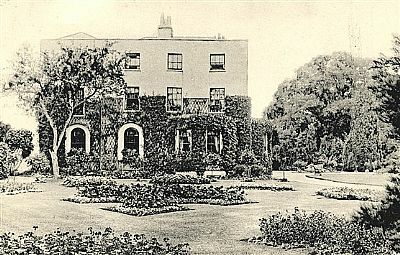 In 1851, aged 75, he was living at Calliper Hall (Chipperfield, Hertfordshire), an elegant Georgian house set in 20 acres of park land [Hugh Prince, Parks in Hertfordshire Since 1500 (Hatfield, 2008)]. He died later that year. His eldest son, Donald, died less than two years later, described as 'Donald Mackay, Esq., of Plantation Reliance, Essequibo, British Guiana eldest son of the late Donald Mackay, Esq., of the same place' [The Times, August 1853]. Of his six other children, the three boys became a solicitor, a doctor and an Anglican clergyman, while the three girls married a doctor, an Anglican clergyman and the son of a solicitor.